Goldratt Research Labs (GRL) is a world leader in offering Theory of Constraints’ based Research and Innovation services and advanced Decision Support Technologies to help organizations and individuals make BETTER FASTER DECISIONS to achieve more with less in less time. GRL works with organizations from both the private and public sector, typically through joint-research partnerships, to design, validate, plan, execute and operationalize breakthrough solutions that will help their customers overcome constraints to achieve more with less, in less time. GRL’s customers include some of the world’s largest organizations within manufacturing, distribution, mining, high-tech and publishing, as well as government agencies and NGOs. A key differentiator is that GRL can offer their customers access to field tested Theory of Constraints’ based best-practices and solutions across a wide range of applications. When combined with GRL’s advanced analytics and decision support technologies that have been proven to deliver step-change improvements in operational and financial results in a low cost, low risk and sustainable way. Implemented Theory of Constraints best practices across the whole company to support building reliability and rapid response capabilities of their Supply Chain and turning these into a decisive competitive advantage against the Chinese manufacturers that were competing mainly on price. This project included the use of SAP to implement Theory of Constraints based planning, execution, measurement and continuous improvement best practices in procurement, manufacturing and distribution. It was also a world first to use TOC’s Critical Chain Project Management to implement all the modules of SAP across all AEL businesses around the world in record time. In the period of this engagement (4 years), the company doubled their revenues and increased profits by 400%. To design and implement a TOC-based Critical Chain Project Management set of planning and execution management rules to ensure that the multi-billion dollar SAP implementation in would be completed on time and within budget. A large number of SAP consultants and project managers would have to be trained “on-the-job”. The ambitious SAP go-live date was achieved on-time and on-budget despite falling 6 months behind within the first 12 months of a 5-year project. To develop a Supply Chain Simulation model of Tata’s main Steel Plant to identify and validate the lowest cost and lowest risk changes needed to reliably increase steel output by 15%. Target increase in Throughput of 15% was achieved following the recommendations from the simulation model. The increased output was worth hundreds of millions per year in increased sales, achieved within 12 months. To build a Simulation model to identify the optimum potash mining supply chain design and matching optimum combination of mine, port and hub storage capacity and type and number of rail cars. The model was also to be used to design and validate the benefits of a “pull-based” as supply chain strategy. GRL developed an end-to-end supply chain simulation model that was used to identify the optimized supply chain design, storage capacity and type & no. of rail cars as well as to confirm that a pull-based strategy (rather than PUSH) would deliver hundreds of millions of dollars in additional contribution margin to BHP over the first 15 years of mining operations. To design a Theory of Constraints-based supply chain solution, which could be implemented within Random House Publishing’s SAP system, to reduce shortages and surpluses, not only at Random House warehouses, but also at retailers. Showed measurable reduction in lost sales by reducing avoidable shortages and reducing surpluses and the resulting discounting and write-offs at distribution centers and retailers. Leading the design and implementation of a TOC-based solution into ABB’s SAP system as part of the One Simple ABB transformation initiative. Achieve OneSimpleABB objectives of having ONE TOC-based SCM Solution design as Best Practice and implemented within ONE IT system (SAP). Pilots of the TOC solution within 30 of the 300+ facilities showed increases of 15-50% in due date performance and throughput, while reducing inventories and lead times by 15-50%. Worked with the internal and external SAP teams to ensure Daiwa House’s SAP implementation project was completed within budget and ahead of time, using TOC’s Critical Chain Project Management methodology. Delivered project in 18 months (vs original 24-month plan) that resulted in US$10m project saving. In 2010, AECI Chemserve asked GRL to help them develop a “Viable Vision with the Target for Chemserve is to achieve profitability of 15% vs. the actual profitability of 9% and budgeted profitability of 11%. Based on GRL’s analysis using the Theory of Constraints Throughput Accounting model, it would require an increase in Sales of 15% in the next year – a target that after the analysis, the team believed was possible if they could succeed to differentiate themselves by offering guaranteed availability and high inventory turns to customers that buy their products to use it and/or sell it. Just a year later, the improved logistical performance from the TOC implementation provided Chemserve with the competitive advantage they needed to achieve the sales growth and targeted profitability which made them the industry leader. In May 2010, GRL was contacted to help Shatterprufe, the largest automotive glass supplier in Africa, with the design and implementation of a TOC solution. There was a Backlog of 60,000 pieces (20 days demand) due to “very surprising” increase in demand not anticipated after the auto industry recession. Off-course this was predictable as all OEMs and distributors significantly depleted their inventory levels in the recession which had to be re-build once demand normalized again. As a result of the backlogs, Average Lead times was over 60 days and Due Date Performance below 50%. All production was prioritized to meet local OEM and local after-market demand and as such, the company lost significant export orders. By July 2010, the co. already achieved their first major successes with their TOC implementation: Throughput at the Pilot Factory was up by 15% and they were again profitable for 1st time in 18 months. The backlog was almost wiped out and Due Date Performance was up from 50% to high 80’s…enough to get them to start winning back many of their export customers. From 2014 to 2016, GRL was the prime contractor for a team of Theory of Constraints experts contracted by Utah’s Governor’s Office of Management & Budgeting to help design and implement TOC based solutions within a number of government agencies. The improvement target of a 25% improvement in Productivity across the State was achieved within the 2 year period. In September 2015, Microsoft’s Supply Chain IT team, in collaboration with Goldratt Research Labs, embarked on a journey to design, test and implement a Theory of Constraints (TOC)-based end-to-end Supply Chain Management solution for managing Microsoft’s Global Digital Supply Chains. d SAP APO. The objective of the project was to achieve a world-class supply chain that could reduce shortages and surpluses and improve responsiveness with the lowest cost and inventory. 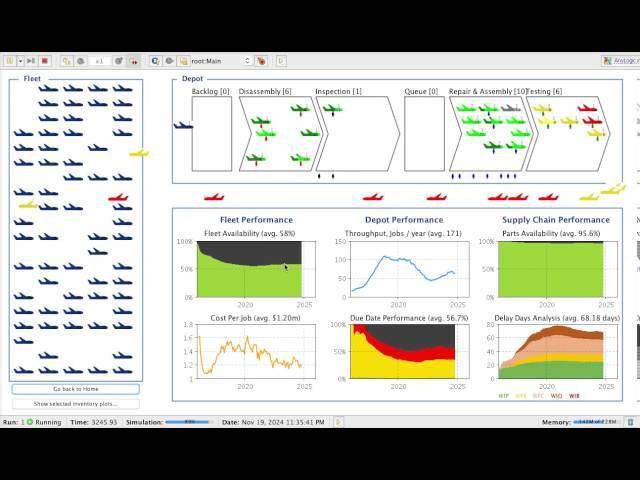 GRL developed a fully self-configurable supply chain simulation that could be used as a low cost/low risk way to validate that the new TOC rules will outperform their existing SCM rules. The full solution was designed and tested within the simulation model and then implemented into SAP in a record time of just 3.5 months after which they could go live within their SAP system. The results from the new customized TOC based solution were incredible. Within the same financial year, inventories came down by over quarter of a billion USD, while at the same time service levels improved by 5% to very high 90’s and sales increased by few hundred million USD due to less shortages and markdowns. Coast Composites supply parts to the Aerospace industry. They contacted GRL and its SAP implementation partner, Illumity in Feb 2015 to assist with the design of a full end-to-end TOC based solution to manage operations, procurement and distribution and then to implement this solution into their SAP system to improve factory throughput and reliability, reduce inventories and avoidable costs. Within the same financial year, the companies achieved a significant improvement in throughput, lead times, due date performance with lower levels of inventory and without increased costs. The HDM App was designed to help managers or individuals make BETTER FASTER decisions in business or life. 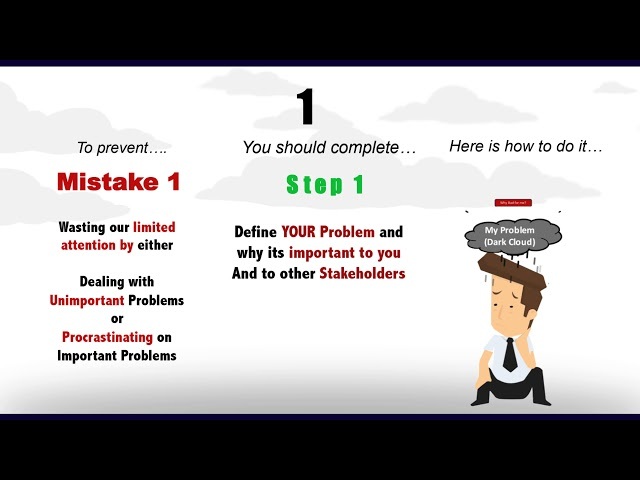 The HDM App guides users through the 5-step ProConCloud process, with each step designed to help prevent one of 5 common decision mistakes. Users can share their decision analysis and implementation status privately with managers, stakeholders, teachers or coaches or publicly via the HDM community library to allow users to not just learn from their own experience but to also learn from each other’s successes and failures. Our Harmony Decision Maker App was the winner of a Global Entrepreneur Network’s 2017 Innovation Award. To test drive the HDM Web App, go to www.harmonytoc.com or to test drive the HDM Mobile Apps, search for “Harmony Decision Maker” in Apple, Google or Amazon Mobile App stores. The HCM App was designed to help management team and individuals achieve the FOCUS and FAST FEEDBACK they need to SUCCEED. The HCM App enables teams to collaboratively design, validate, plan, execute and audit the implementation of major changes using the innovative “Strategy & Tactic Tree” methodology as well as Critical Chain and Agile Project Management best practices. Our Harmony Change Maker App was a Finalist in the Silicon Valley Business App Awards 2013. 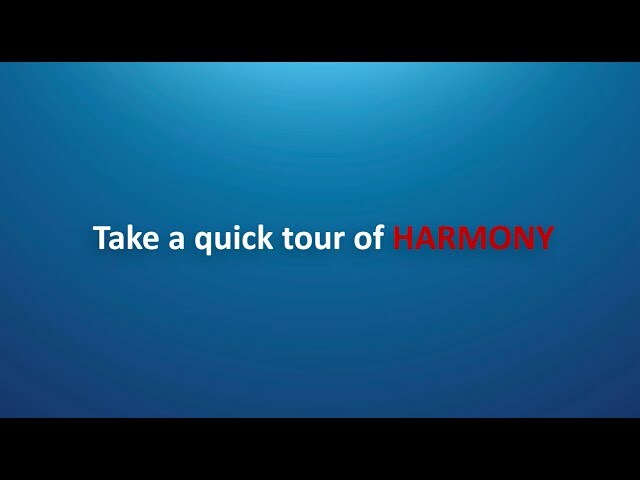 To try out the HCM Web App, go to www.harmonytoc.com and select to subscribe to the Harmony Change Maker Web App for a free 30 day trial. The HCS was designed to help managers quantify the inherent improvement potential within their organization or supply chain and the likely operational & financial benefits of investments and/or implementing changes like Theory of Constraints’ best practice planning, execution and continuous improvement rules. GRL’s Simulators have received a number of industry awards. In 2014, a 3D Steel Plant Simulation model developed for Tata Steel won the second place in Anylogic’s global simulation modeling competition. To get access to our publicly available Simulator models, search “Goldratt Research Labs” in the Apple MacOS App Store or contact Jaco-Ben Vosloo, GRL’s VP of Technology at jacoben@goldrattresearchlabs.com for a demo. Over a decade ago, Merlynn Technologies, GRL’s AI partner, developed an AI engine that can extract the intuition-based decision rules of top experts in any domain. The TOM technology was the winner of Southern Africa’s Technology Top 100 Awards in 2015. See www.merlynn.co.za for more details or to a short explanation video of how TOM Works, view the video below.